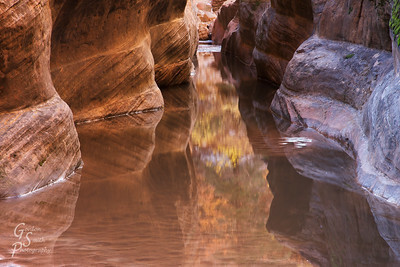 Orange Tree Reflected in Slot Canyon. 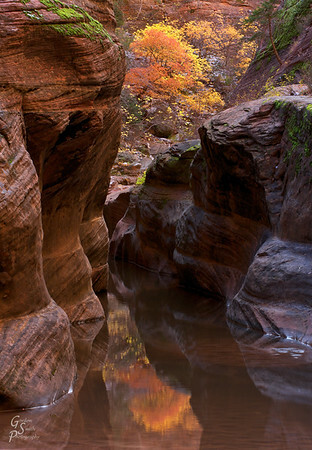 This is a suspended canyon in Zion. 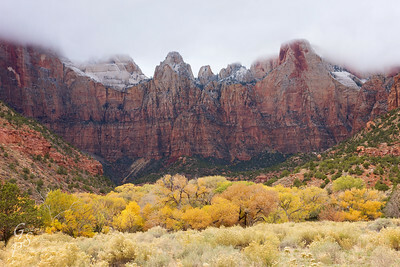 Peaks of Winter Zion's Tower of the Virgin has peaks jutting to the clouds, catching late autumn snow storms. 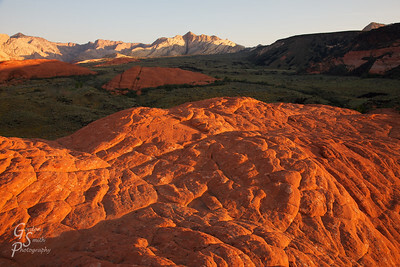 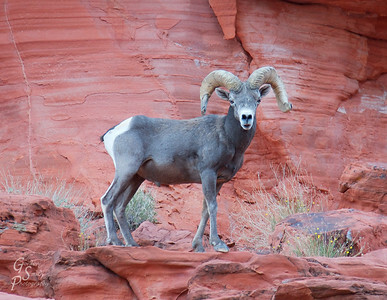 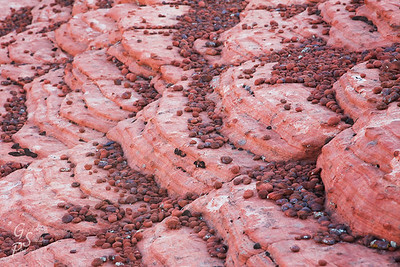 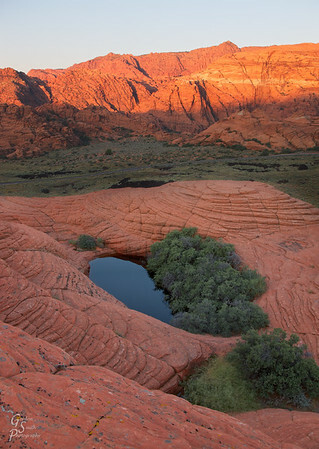 Petrified Pools in Snow Canyon state park. 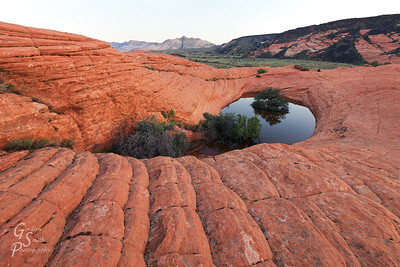 This small pool and vegetation set amid the sandstone formed a beautiful pocket of life. 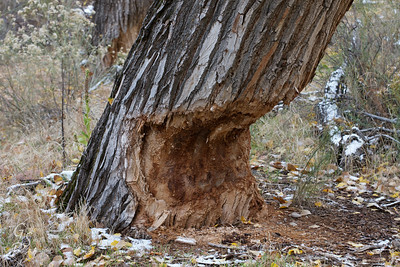 The sandstone formations are often called the "petrified sand dunes"
Damn Beaver Half-eaten tree showing beavers at work. 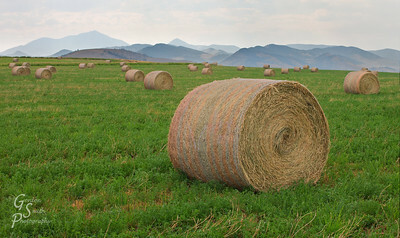 Rolled up, farmer's work is done. 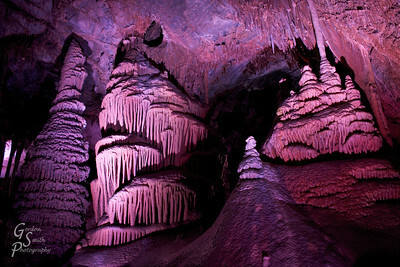 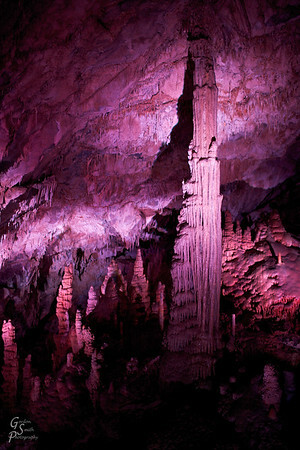 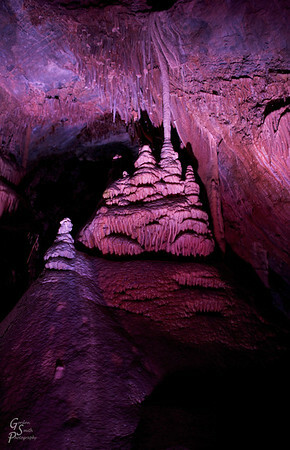 Stalagmite Tower in Lewis and Clark Cavern State Park. 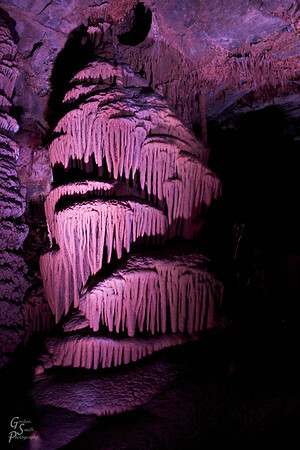 Plenty of other stalactites were also hanging around. 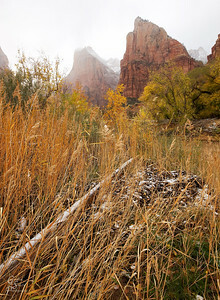 Undressed This quiet scene in Zion reminded me of . . . .
Raccoon Stepping Forward Light snow was falling as this raccoon crossed my path. 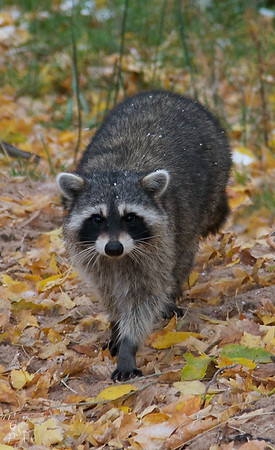 You can see some snow on his back. 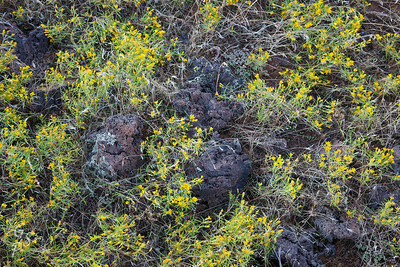 Waiting in the Field Montana in the late summer. 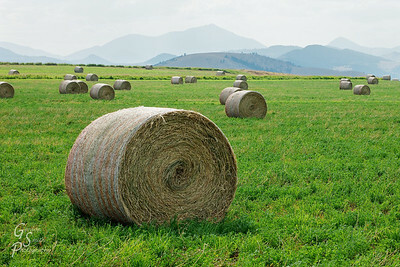 These huge rolls of hay were just there, beautiful as anything could be. 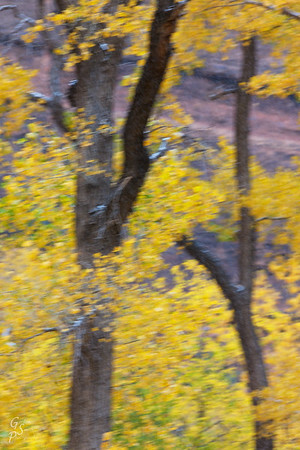 I stopped and took their pictures for about 30 or 45 minutes. 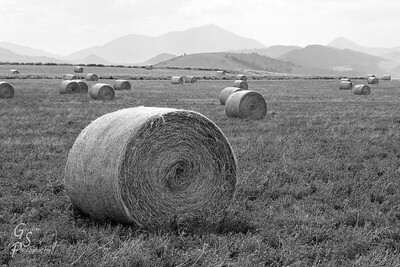 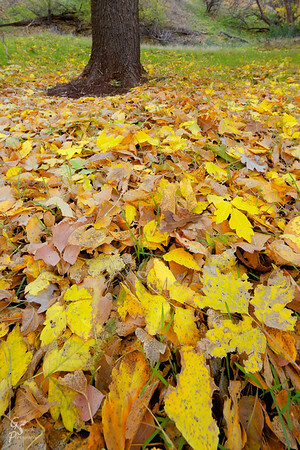 This really big roll in the foreground works as a lead-in object for the rest of the background rolls. 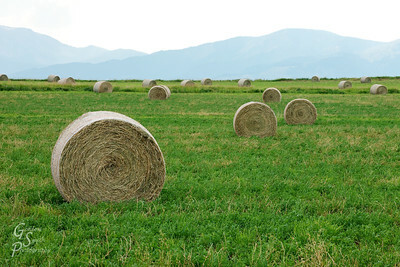 I drove by here a couple days later and all the rolls were gone. 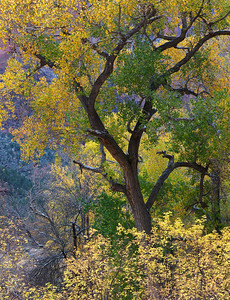 Two Towers These two towers make up 2 of the 3 Patriarchs at Zion national park. 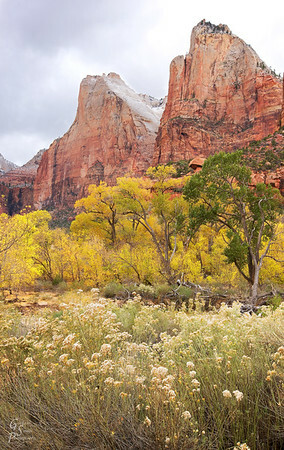 The colorful cottonwood trees and grasses made a gorgeous scene. 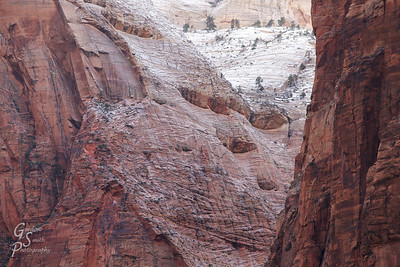 Abraham's Face This Zion mountain is named after the biblical figure Abraham. 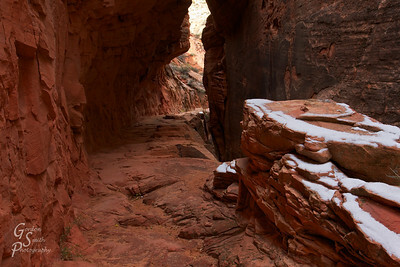 It stands in the Court of the Patriarchs. 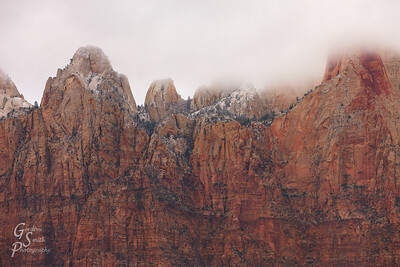 On a snowy day, I visited and took this telephoto image: snow sticks to the higher elevations and on level surfaces but the sheer cliffs remain bare. 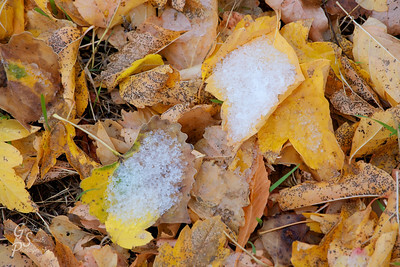 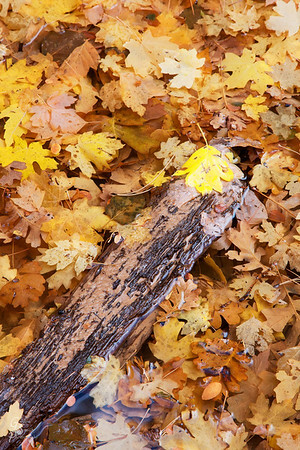 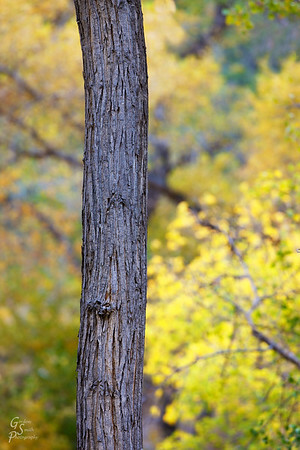 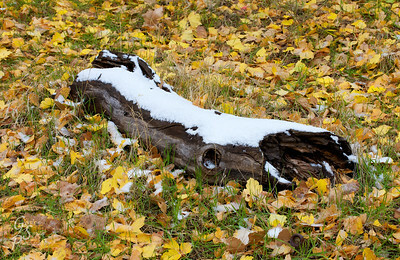 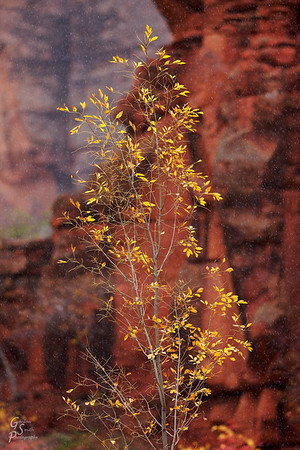 Fall Turns to Winter During a snow flurry, I photographed this isolated tree branch in Zion national park. 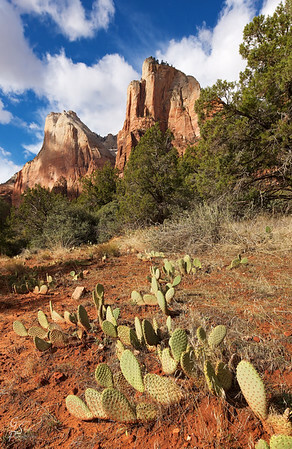 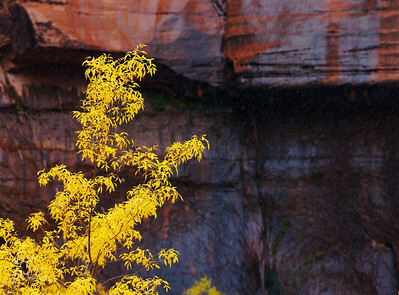 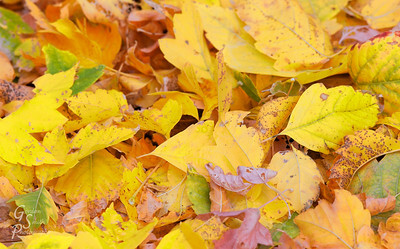 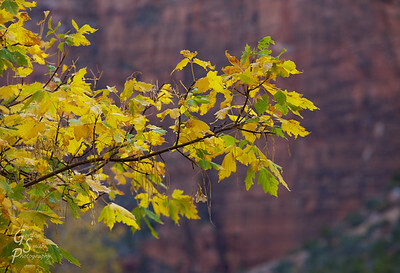 Most leaves had fallen off but a few remained and stood out from the red cliffs of Zion Canyon. 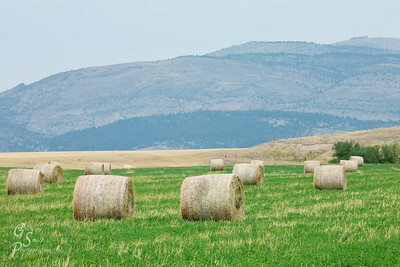 Rolling to the Mountains These rolls of hay were on the move, or so it seemed. 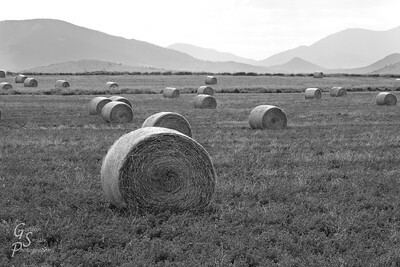 They had a great field to play on a beautiful Sunday afternoon.